The datil pepper is synonymous with St. Augustine, as it’s practically the only place in the country where it grows prolifically. This pepper is perfect in any recipe (we love it in stir frys!) and is often used in relishes, hot sauces, and other condiments. Bradley’s Country Store: We discovered the wonderful, time honored Bradley’s Country Store on our recent visit to Tallahassee (see our travelogue at the bottom of this page). Located 12 miles outside the city on one of the area’s famed canopy roads, Bradley’s is best known for their house made sausage, smoked on the premises and shipped in gift boxes all over the country. Bradley’s is not only a good old fashioned country store stocked with their (and other local) food products and kitchen items, but a great place for lunch if you’re in the area. They’ve been around since 1927 – 3rd & 4th generation Bradley’s run the store and it’s truly a Tallahassee area treasure. Their smoked sausage is nothing short of fantastic, and they also grind their own corn meal and make their own cheese, a delicious hard to find variety called hoop cheese. Were we not flying back home, we would’ve stocked our entire car trunk full of the goodies they sell! If you’re looking for a Florida themed gift for someone, check out the Bradley’s Country Store products pages. 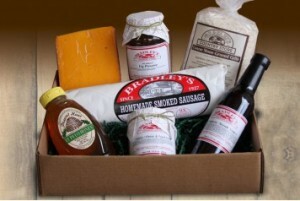 They’ve got all kinds of gift packages ready to ship, like the “Bradley’s Complete” shown, with sausage, cheese, grits, honey, and more! And if you’re ever near Tallahassee, stop by. It’s an experience like no other! If you’re a pickle fan, Pickle Baron of Key West is right up your alley. 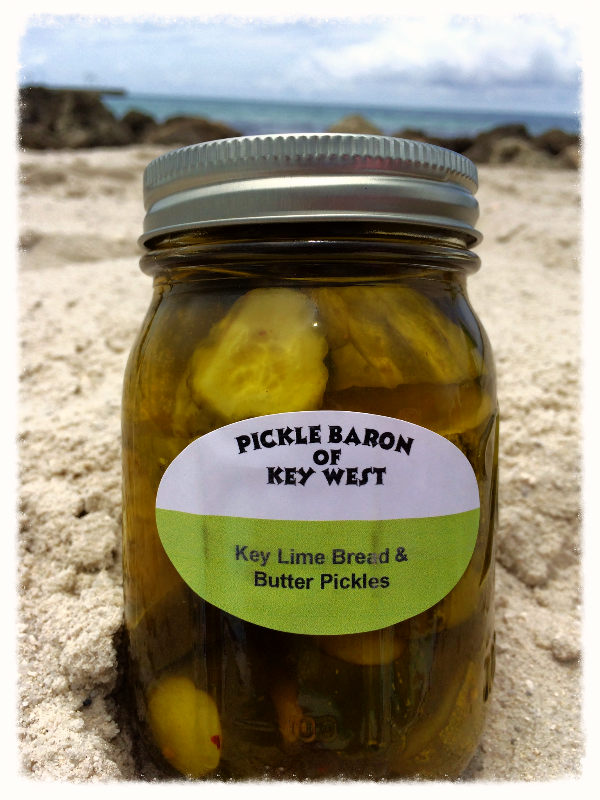 They create pickle flavors the likes of which you’ve not seen before – how about Ginger-Basil Key Lime Pickles, or Key Lime Bread & Butter Slices, sweetened by fresh key lime juice? Of course, more standard varieties are available too, like Wicked Hot and Dill-iscious Dills, along with a few other unique pickled products like Fiery Green Beans. At the Baron’s website, be sure to check out their creation called Conch Candy. It’s not a candy at all but it might as well be – Conch Candy is sliced jalapenos jarred in a sweet candy brine. They’re great right out of the jar, or for the more adventurous, as a unique ice cream topping! Gingers Jams & Jellies: One of the great things about The Sunshine State is you’ll find many products created from the bounty of the local citrus crop. One small company doing exactly that is based in Orlando, called Ginger’s Jams & Jellies, although they produce more than those two items! The company is most known for their line of jams and jellies using local fruit. At their site, you’ll find delectable choices like Strawberry, Mango – Raspberry, and Blackberry jams as well as Guava, Mango – Passion Fruit, and Mayhaw jellies. 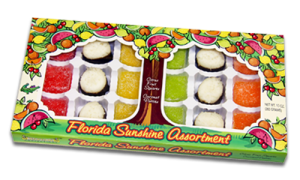 Made with all natural ingredients in small batches, these are great gifts for anyone who’d enjoy a taste of Florida! Gingers Jams & Jellies also offers fruit butters, marmalades, and pickled items like Bread & Butter Pickles and Cranberry – Apple Relish. No matter what fruit you enjoy, chances are they’re got your taste buds covered! Visit their site to order – you’ll find their online store near the bottom of the home page. Customized gift crates are available too! Jacquie’s Jamming Jams: We found out about Jacquie’s Jamming while doing a bit of research on Naples, FL where they’re located. Owner Jacquie Hoare-Ward makes a line of jams and jellies based out of a small catering facility in the downtown Naples area and the products have made quite a name for themselves as uniquely Florida! 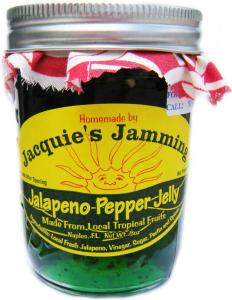 When we learned more about Jacquie’s Jamming Jams, we were impressed with the fact that her products are made with fresh local fruit and no preservatives. Some of her specialties include Mango Jam, Mango Lemon Salsa, Calamondin Orange Marmalade, Strawberry & Passion Fruit Preserves, and the Jalapeno Pepper Jelly pictured. Serving suggestions are offered on her website and these and other flavors are available in four or eight ounce jars. Be sure to visit the Recipe page on their website to see the Mango Marinated Fish Fillet and the Roasted Pork Loin recipes – guaranteed to make you think twice about what you’re making for dinner! Jacquie’s Jamming Jams can also be purchased in a four jar gift set – a nice idea for something fresh from beautiful Naples! Although best known for pecans, the company offers all types of other nuts, including hard to find black walnuts. Mixes, snacks, fudge, pralines, and local honey round out their product line, all of which you can order online at the Renfroe Pecan online store. Oh and we almost forgot … they also make a wonderful Southern Pecan Coffee, which is available in 8 ounce or one pound bags in both regular and decaffeinated. Of course, natural and candied pecans are the star of the show. They’re available in gift assortments, tins, and various sized bags. 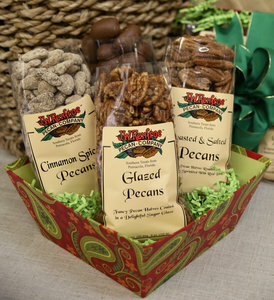 The glazed pecans are a special Florida treat! 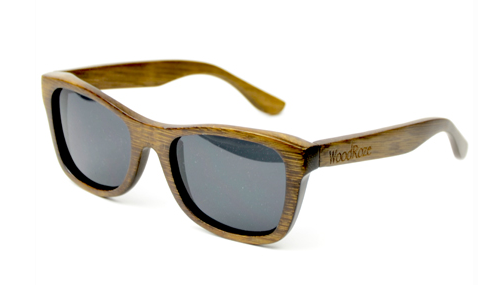 Visit the Renfroe Pecan website to do a little shopping – they ship all over the country! Grapefruit, oranges, tangerines, tangelos, and even apples and pears are prolific here. 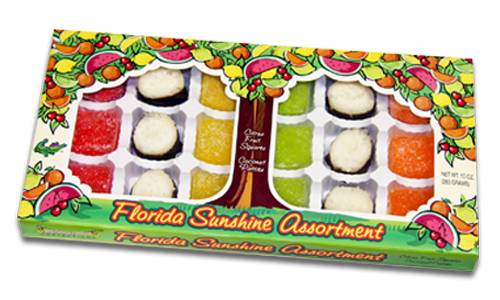 And there’s no gift that says Florida quite like a specialty box packed with fresh fruit. 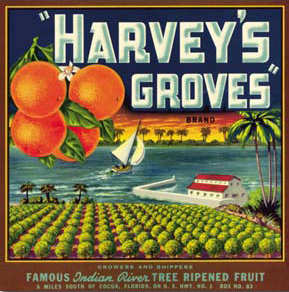 Since 1926, Harvey’s Groves has been one of the state’s leaders in shipping fruit gift baskets and boxes across the country. Only shipped when fresh picked, Harvey’s Groves fruit is grown near Rockledge and Merritt Island, just off the Atlantic Coast and east of Orlando. Their stores are popular Florida destinations on Highway 1 in Rockledge and also in West Melbourne and Cocoa Beach. One of their best selling gifts is their Citrus Fruit of the Month Club, which can be ordered for durations up to six months. Each month you’ll receive nine pounds of fresh Florida fruit! 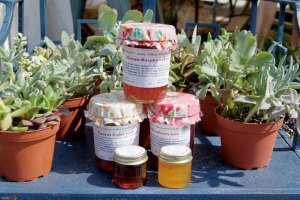 If it’s off season, you can order any of Harvey’s Groves jams, jellies, and marmalades. They’re also available in gift sets – an ideal Florida themed thank you for anyone on your list! You can order one type of fruit, or a mixed selection of several citrus varieties. You can also arrange to have fruit shipped every month to a client or family member … a healthy gift sure to be appreciated! These baskets, like the one shown, contain up to five pounds of grove fresh fruit in several varieties, including grapefruit, tangelos, and different types of oranges. We’re partial to the Sangria Frosty Freeze (shown). One package makes over a gallon of sangria, and you can freeze the mix if you prefer a sangria slushy as opposed to sipping. Either way, it’s a perfect made in Florida treat for a warm sunny day! Sterlings Fudge Emporium: We love discovering family owned small businesses that make people happy, and this central Florida company does just that! 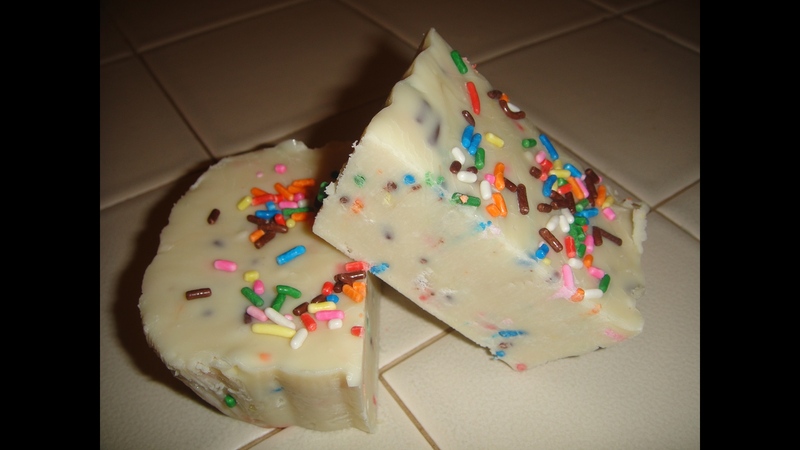 Birthday Cake Fudge – Wow! And, if you want to be the person in the know at your next social gathering, check out the “Fudge Pairings” page, a handy reference for pairing fudge flavors with your favorite wine, beer, or spirits. 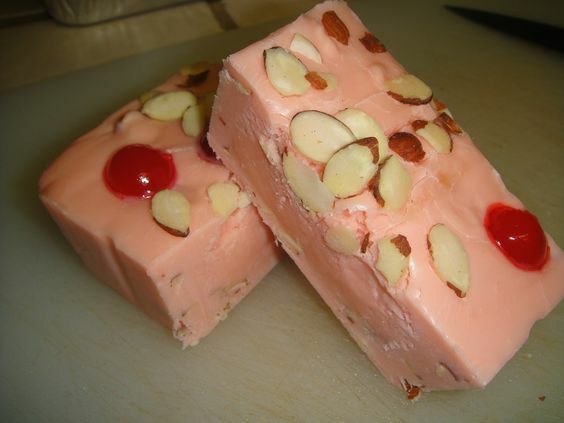 Bring along a selection or two from Sterlings Fudge Emporium and you’ll be a hit! 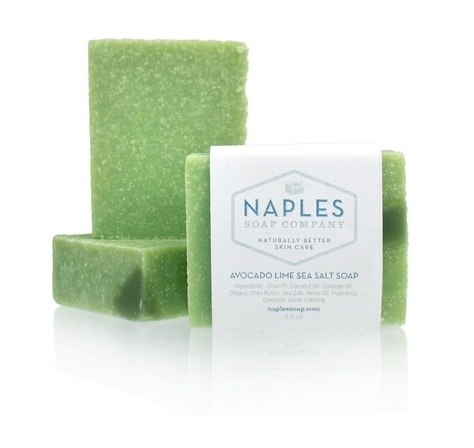 We are so proud to introduce you to this vibrant small business … Made in Florida! Specialty cookies and gift trays are available as well. 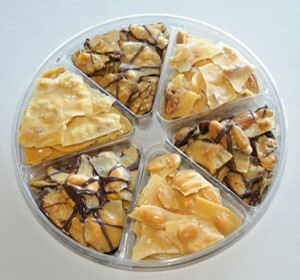 Visit Barb’s website and click on “Buy Brittle” to see all your options. 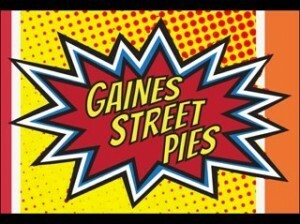 And if you’re ever in Tallahassee, stop by and say hello! The coconut patties are available in several different flavors, like key lime, rum, and pina colada. The patties are made with smooth shredded coconut filling which is then dipped in a rich dark chocolate coating. Enjoy them right out of the package, or for a warm weather treat, put them in the freezer for ten minutes or so for a nice coconut chill! Check out their site for all your options. Free shipping on orders over $49! In addition to these cakes, the Dockside Market also creates a line of Florida themed cookies and brownies, as well as hot sauces. There are several combination gift packs available … an ideal gift direct from the Florida Keys! 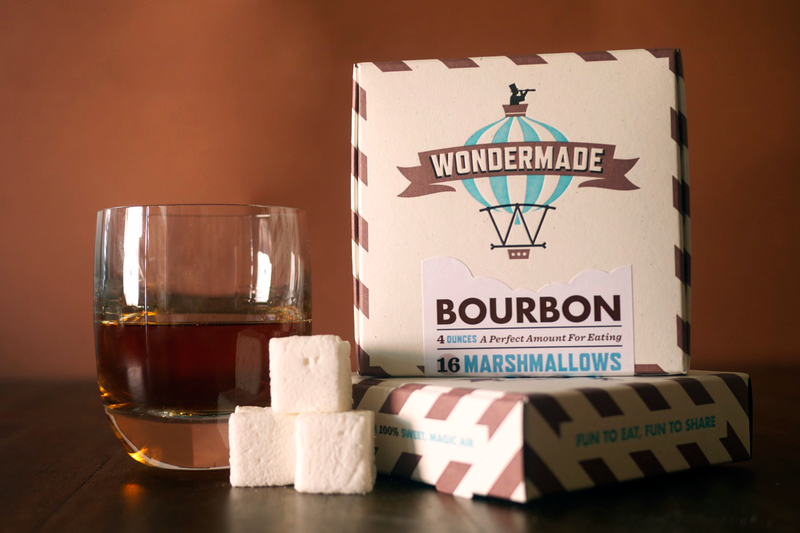 Wondermade: How about some gourmet marshmallows? Sound good? Well, they are! One quick look at the Wondermade website will give you a glimpse of what you’ve been missing all these years eating ordinary marshmallows … they make these puffy pillows of goodness with flavors ranging from bourbon to raspberry to passion fruit to gold champagne to chocolate mint … in other words, they’ve got your marshmallow cravings covered! Chips ‘N Chocolate: Chocolate and potato chips? YES! 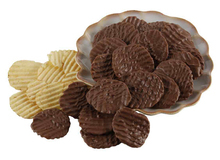 Two common ingredients combine together to make a delicious snack treat, courtesy of Grimaldi Candies … ridged potato chips drenched in milk chocolate. 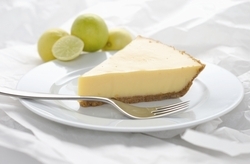 Some examples include key lime tea, key lime lip balm, key lime taffy, key lime salsa, and … well, you get the idea! Uncle Jimi’s Almost World Famous BBQ Sauce: Florida is known for all sorts of wonderful food products, but folks don’t always equate great barbecue with The Sunshine State … especially BBQ Sauce crafted from Key Limes. If you’re a fan of award winning barbecue sauces, one independent business you should know about is based in Cape Coral, in southwest Florida near Ft. Meyers. The company is Uncle Jimi’s Almost World Famous BBQ Sauce, the proud winner of two prestigious 2017 Scovie Awards for their signature Key Lime & Chipotle BBQ Sauce … owners Jim and Alison Brush know a bit about awards, having won several Blue Ribbons from the National Pie Championships for their Key Lime Pies. 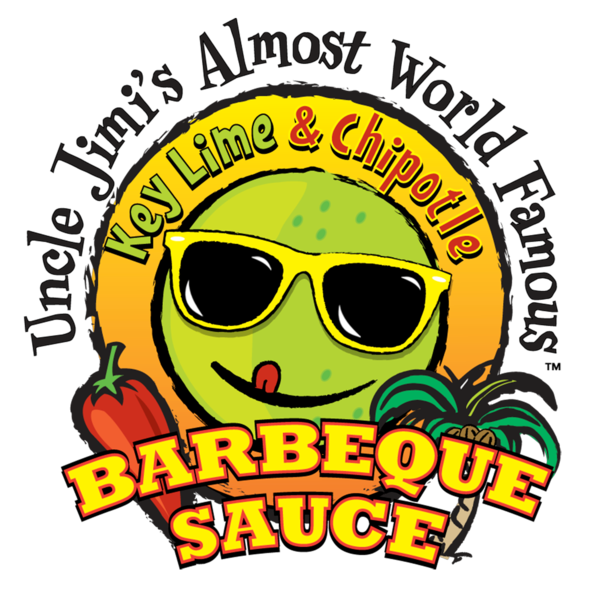 If you like things a little hotter, check out Uncle Jimi’s Almost World Famous Key Lime Habanero BBQ Sauce – it combines a habanero kick with the unmistakable Florida Key Lime flavor. And while we’re on the subject of hot, Uncle Jimi’s offers two creative key lime themed sauces. They’re Uncle Jimi’s Key Lime Wing Wing Sauce and Uncle Jimi’s Key Lime Hot Sauce (pictured), which offers the flavor profile of their signature barbecue sauce in a versatile hot sauce perfect for any dish needing a little extra jolt … Oysters? Clams? Bloody Mary? Uncle Jimi’s Almost World Famous BBQ has been featured on The Food Network, CNBC, and is the recipient of several prominent awards and accolades in their home state of Florida. You can order their sauces directly from the company website along with their Hot Sauces, Smoked Bacon Salts, and Smoked & Infused Sea Salts. If you live in the area, there’s a comprehensive list of retail outlets on their site where you’ll find the products locally. Wholesale opportunities are available as well – contact them directly for more details! Meats are seasoned and slow smoked for up to 14 hours, the ribs are tender, the peach cobbler is outstanding, and well, you get the idea. Try Art’s sauce, which you can buy online at their site. It’s got a peppery kick with hints of sweetness to it … not Kansas City style, not Carolina style. We’ll just call it “Art’s Style” and encourage you to buy some! The sauce is available in quantities of three or twelve (believe me you’ll want more than one bottle!). You can also call them to have ribs or pulled pork shipped via Fed Ex. And if you’re ever in the general Orlando area, stop in! Just in time for the holiday season, RhymeTime has released their latest book, “Jack the Cat: Christmas in Florida”. 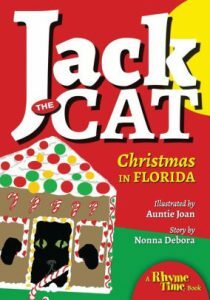 This humorous and charming story follows the playful antics of Jack, a cat from The Sunshine State who navigates through the 12 Days of Christmas, with each day offering a new adventure. You’ll Love Jack the Cat! 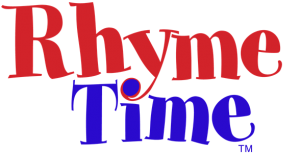 Be sure to stay tuned to RhymeTime Storybooks … more titles are on the way in 2018! 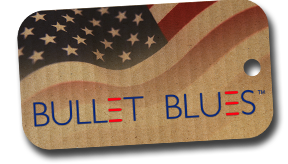 Bullet Blues product line includes the likes of tops, dresses, skirts, button up shirts, t-shirts, belts, and of course, jeans. Check out their website – you’ll find great gifts for both the guys and gals on your list and they’ll ship anywhere in the country! Their jeans are really good looking and as an added plus … they’re all made right here in Florida! This family owned and operated Sunshine State based company creates a unique line of all natural body care and fragrance products crafted from fresh locally grown Florida ingredients. Tropical Apeel’s mission is to combine the joy of tropical beach life with the spirit of the state’s natural resources in every product. From hydrating hand and body lotions to face & body sugar scrubs to tropical fragrance mist, there’s something to delight everyone’s senses! 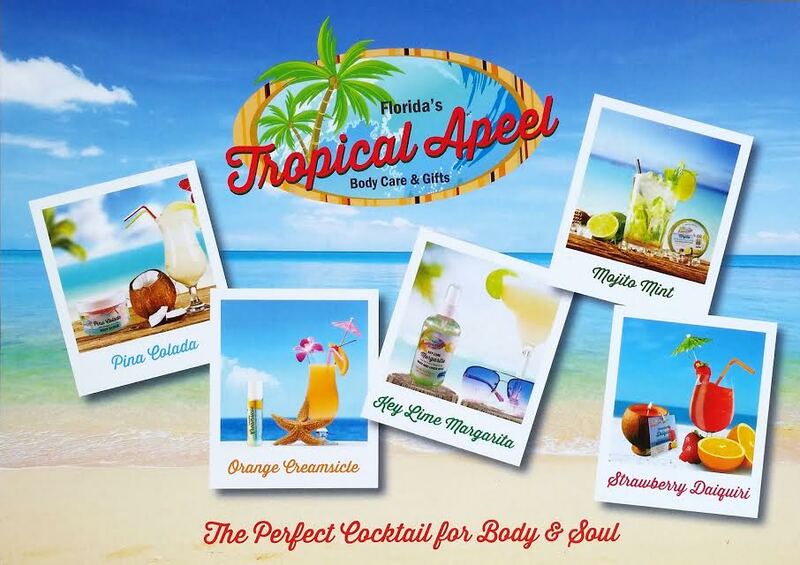 Everything in the Troical Apeel line is available in five tropical scents – Pina Colada, Key Lime Margarita, Strawberry Daiquiri, Mojito Mint, and Orange Creamsicle. You should also know that this environmentally friendly company adheres to a strict criteria for the ingredients in their products. Ingredients must grow wild and be indigenous to Florida and be harvested locally. Further, they must be a renewable and sustainable resource that’s friendly to the environment, animal life, and marine life. Most importantly, all ingredients are completely free of harmful parabens, petroleums, and toxic chemicals. If it’s not good for your body and skin, it’s not in a Tropical Apeel product! You can view the entire selection awaiting you at the Tropical Apeel online store. 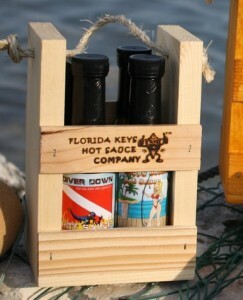 Check out the Gift Sets (the perfect Made in Florida gift! 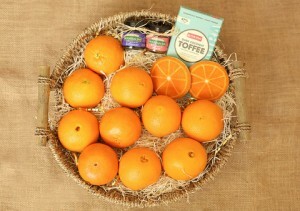 ), along with exfoliating soaps, lip balms, Loofah sponges, and attractive coconut shell candles. Wholesale opportunities are available and a portion of every sale is donated to area charities supporting the preservation of Florida’s environmental resources, as well as the care and well being of people and animals. 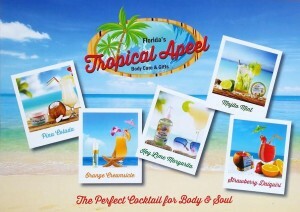 We’re very pleased to feature this creative business – for the perfect Florida cocktail for body and soul, click through and visit Tropical Apeel! Write Turnz: Looking for a one of a kind Made in Florida gift? Check out the custom handcrafted writing instruments (and more) created by Jason Olson of Lithia, FL. His creative small business Write Turnz crafts reclaimed and repurposed materials into heirloom quality pens, sketch pencils, and even shaving utensils! Old growth cypress trees from The Panhandle, reclaimed wood from homes and buildings, and even white tail deer antlers are just a few of the upcycled materials Jason works with to create these handsome pieces. The pens, stunning in design yet approachable and functional, feature classic lines and tell a unique story. Many are adorned with genuine Swarovski crystals or semi precious metals and make the perfect gift for anyone who appreciates fine detailed craftsmanship. Whether for yourself or for someone special, these are gifts you’ll be proud to give and even prouder to hand down to the next generation. Appealing and eye catching, writing instruments from Write Turnz are like no other! We’re pleased to feature Write Turnz here on our Made in Florida page and urge you to pay them an online visit! 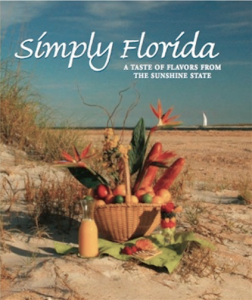 Simply Florida Cookbook: We love to cook (and travel) and it’s a lot of fun to prepare some of the iconic recipes from across the United States. Recently, there’s a been a trend to documenting the culinary culture of each of our 50 states via special edition cookbooks. They’re a great way for chefs of all ability levels to really become acquainted with different regions. In Florida, a division of the Family & Consumer Sciences agency is marketing a cookbook called Simply Florida. If you want to explore the wonderful flavors of The Sunshine State, this is a great place to start! The book, which is available at the linked website, includes over 200 recipes, with chapters focusing on the state’s dairy industry, seafood, beef, grains, and of course, citrus fruit. Florida Salt Scrubs: This Boca Raton based company uses Atlantic Ocean sea salt to create a variety of bath and body scrubs that make perfect gifts or just for pampering yourself! 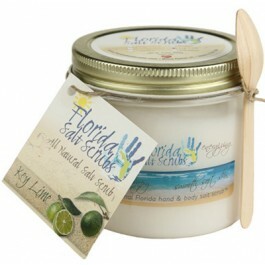 Click through to the Florida Sea Scrubs website and you’ll see the many scrub scents available – they include Key Line, Lemongrass, Orange, Vanilla, and more. A true natural made in Florida gift idea! Key West Aloe: An amazing plant, the aloe is known for its healing properties, particularly on sunburned skin. But did you know aloe vera offers nutrients like Vitamins A, C, & E along with B Vitamins and Folic Acid which helps regenerate skin cells? This wonder plant is the basis for Key West Aloe, the leader in aloe products since 1971. Known for more than just skin care products, this Conch Republic based company is also known for aloe based scented products, men’s shaving creams, and pet products. 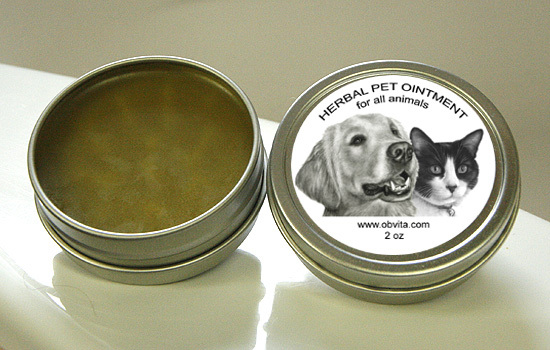 Just as it calms the skin, the scent of aloe vera offers a calming effect on your pets as well! We particularly like their Key West Aloe Soy Candles – they have a soothing island scent and a soot free 35 hour burning life. Almost as good as lounging on the beach! 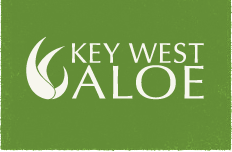 Key West Aloe’s website is a showcase for their many products, including gift sets that make the perfect Florida themed gift for both him and her. Click through to see everything they’re creating that’s good for your skin! One of their primary products is their line of sea salt soaps. Naples Soap creates eighteen different varieties and scents, including Eucalyptus, Lime Blossom, Florida Sunrise & Sunset, and Sea Kelp. Gentle on your skin, these soaps make great gifts for yourself as well as anyone on your list! 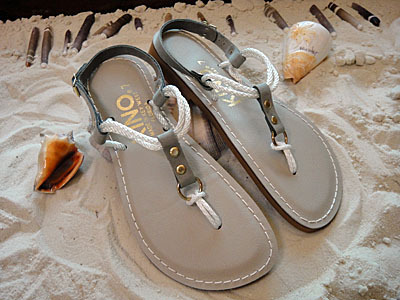 Kino Sandals: One of the most popular Made in Key West products to bring back from a Keys vacation is a pair of Kino Sandals. Founded in 1966, Kino Sandals is one of the best known and sought out businesses in the Keys – a must stop for visitors to the island. Men’s, women’s, and children’s sandals are available in unique island style designs. Kino Sandals now offers website ordering for those who can’t visit their store in person. These sandals are sturdy, well made, and stylish! Shop for yourself at their online store – you’ll be surprised how reasonable the prices are! 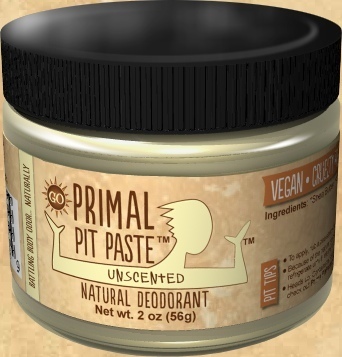 Primal Pit Paste: We saw some information about this Tampa based company and wanted to call them to your attention … they’re Primal Pit Paste, and they create organic, all natural deodorants that are paraben and aluminum free. These chemical free deodorants were originally developed for owner Amy Cazin’s children, in an effort to keep them away from the harmful chemicals found in traditional store bought deodorants. The product is available for both kids and adults in 2 ounce jars and a handy stick for those on the go. 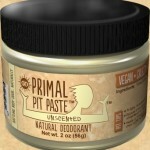 Their story is really interesting and they make a few other products too … check them out at Primal Pit Paste. Bug Off Soap … Shoo! 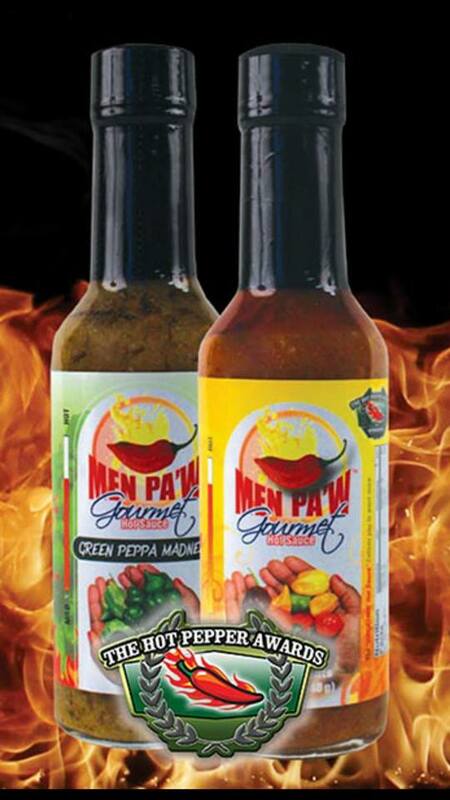 These versatile sauces are made with all natural ingredients – peppers, olive oil, vinegar, and spices with no fillers or congealing additives. You can use it on any fish or rice dish, as they add a snappy, flavorful bite to any seafood meal. We also like it in our stir fry chicken recipe, just drizzle Men PA’W Sauce over the chicken and vegetables as they simmer. Use it in a breakfast omelet as well! There are two varieties available, mild and hot (we tried the hot). You can order directly on their website, in four or six ounce bottles … trust us, you’ll want the six ounce, and more than one bottle! 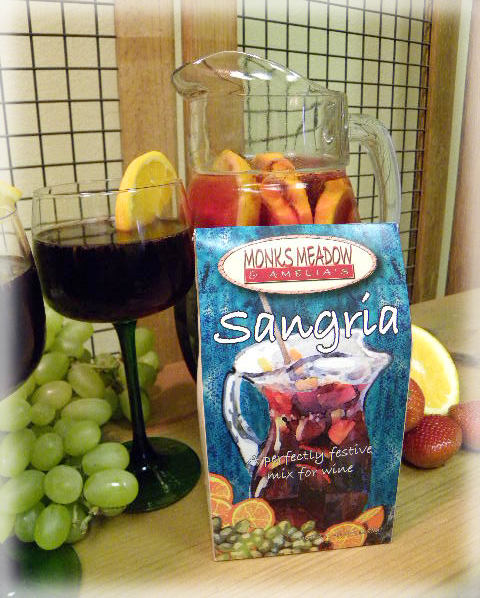 A fun and economical Florida made gift for the foodie in your life! At the Hot Sauce Harry’s website, you’ll see what we mean. There’s a vast selection of hot sauces, grilling sauces, salsa, barbecue sauces, gift and novelty packs, themed hot sauces, and a lot more. Wholesale opportunities are available too! 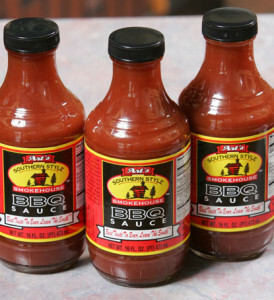 A one stop shopping experience, Hot Sauce Harry’s delivers fast and on time. Click through to their website to see all your options! We discovered the Florida Keys Hot Sauce products at a shop in Key Largo. They’re available anywhere you visit in the area, as well as online at their website. They make almost 20 different varieties featuring just about every pepper available and range from savory and mild to hot and hotter! We particularly liked one of their sauces called “Mile Marker 0” which references the mile marker at the end of U.S. Route 1 in Key West. It’s a flavorful concoction that’s not too hot and pairs well with grilled meat of fish, and is especially good in stir fry dishes! Gift sets like the one shown are available as well. Click through to their site to learn more! Only Herbs Gourmet Seasonings: This specialty spice company is based in Florda’s beautiful Panhandle area in Panama City. Founded in 1996 by Sandra Jo Marshall, they’re known for their all natural culinary blends and seasonings. In addition to signature spices, Only Herbs creates a whimsical line of dips and spice blends called “Redneck Gormay”. They’re incredibly easy and convenient to make … just add a 16 ounce container of sour cream and let sit for 1/2 hour or so in your refrigerator. They’re perfect for your next casual gathering – redneck or otherwise! 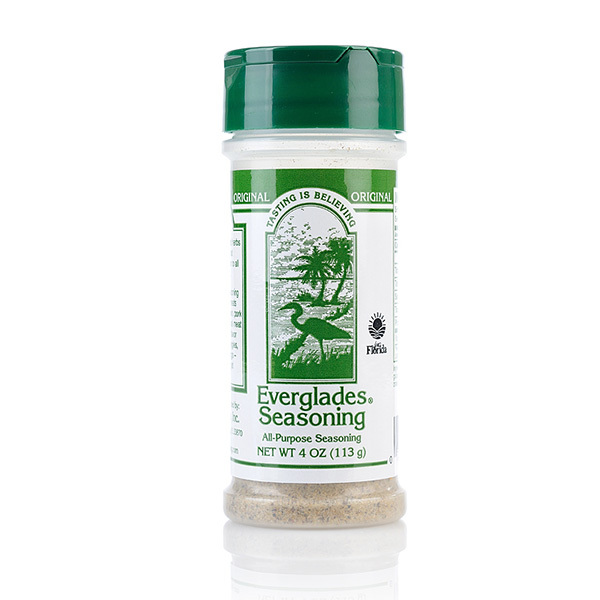 The company also makes four specialty seasonings which can be used on just about anything. Try their Original Blend, a mix of thirteen different spices along with sea salt. If you’re looking for a fun gift, check out the Mason Jar Variety Gift Set (pictured) which includes five different products from the Redneck Gormay line. Tasty fun from the Panhandle! 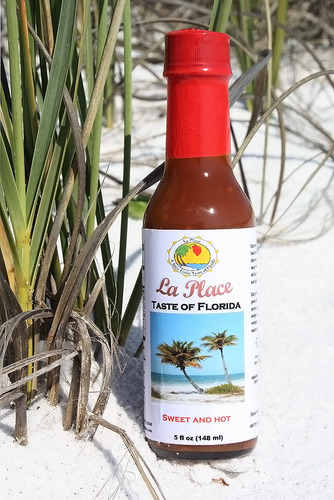 If you’re a fan of hotter hot sauces, La Place has you covered … visit their website and you’ll see their creations with both habanero and ghost peppers in combination with tropical fruit like mango and papaya. A combination gift set is also available if you want to try them all – click through to see the full product line and to place your order. A great specialty gift idea from Florida’s Panhandle! 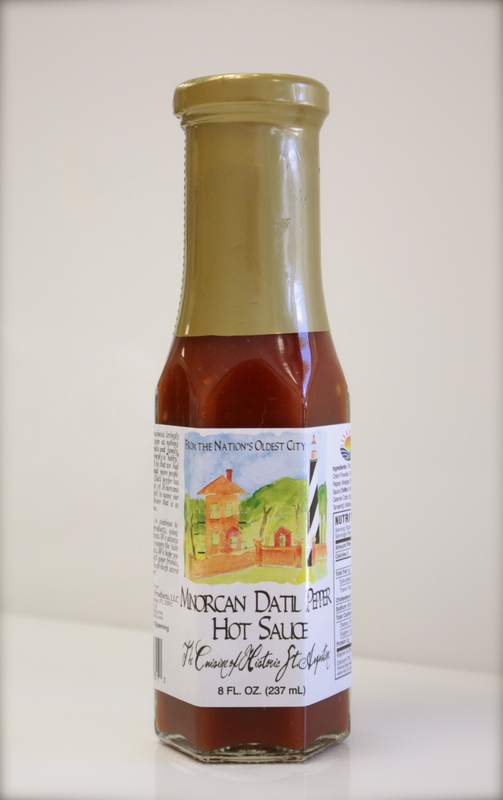 We spotlighted Minorcan Datil (see below) and now we’d like to introduce you to ‘A’ Frame Datil Pepper Sauce, created locally using organic datil peppers. This stuff is really good! It’s a combination of red, orange, and yellow bell peppers along with spices and apple cider vinegar and, of course, datil peppers. We had a bottle given to us as a gift and loved it – you can use it on stir fry dishes as we did, scrambled eggs, tacos and burritos, chicken, fish, and just about anything you cook! Created by local surfing buddies, the name ‘A’ Frame refers to a type of ocean wave beloved by surfers. This is really a great sauce, it has a bit of bite but also a bit of sweet and it’s a great gift from Florida! Visit ‘A’ Frame Sauce to get some for yourself! The company makes other varieties of seasonings, including low salt mixes, and hot and spicy seasoning. 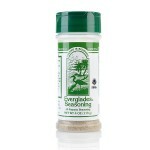 Pick up a few bottle of Everglades All Purpose Seasoning directly at the company website. It’s really good stuff! These sauces are ideal for your favorite recipes (they have many on their site), and the sauces complement your cooking as opposed to overwhelming it. They’ll add a kick to any rice or seafood dish – we use them in stir fry dishes. Of their many flavors, we like the Garlic Goodness and the Carrot Karma sauces. 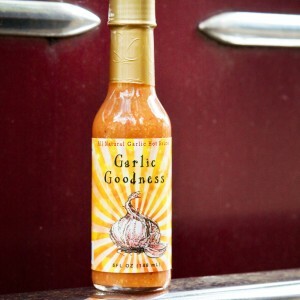 Garlic Goodness is thoroughly garlic … over 100 pounds of fresh garlic in every batch! Carrot Karma is a medium hot sauce made with a pepper blend, fresh carrots, and fresh lime. We used both in a shrimp dish and the results were spectacular! We’re big fans of their Minorcan Datil Hot Sauce, which is more sweet and hot than hot (the heat doesn’t overpower the flavor). We use it in stir fry dishes, stews, in dips, and drizzled over freshly cooked seafood. Check their site for a complete description of all their products … the datil garlic mustard is another fantastic product! One of our favorites is Floribbean Key Lime Mustard, which is just as it sounds … mustard with a pleasant key lime flavor. Use it on sandwiches, as a dip, or as a marinade. It’s especially good on pork and seafood dishes! Choose from flavors like chipotle, artichoke, olive, sun dried tomato, and more. Our favorite is the Original Garlic Spread, which we use in Italian recipes and also as an accent ingredient in fish dishes. If you like garlic, you’ll love this spread … it has twelve cloves of fresh garlic in every jar! Only Herbs Gourmet Seasonings: Located in Panama City, this company makes dozens of gourmet seasonings approachable enough for the every day kitchen. Their dip mixes are really easy to prepare … just add a 16 ounce container of sour cream and they’re ready to serve! You probably already know a spoonful of honey twice daily helps alleviate local allergy symptoms, but did you know about all the other benefits? Unfiltered raw honey is helpful for high cholesterol, arthritis, heart disease, bladder infections, the common cold, and more. At the Jammin’ Jelly’s website, check out their Honey & Cinnamon page for more helpful details. While you’re there, stop by their online store to see all the different varieties of honey they produce. Honey differs in flavor from location to location (flavor depends on what the bees pollinate). 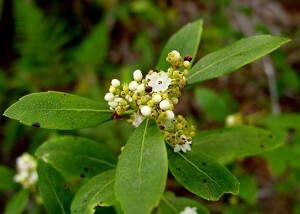 A northern Florida delicacy is Gallberry Honey, which is created when bees pollinate the gallberry bush. This plant is found primarily in the southeast part of the country in low pine barrens and the honey offers a rich flavor and golden color. You’ll also find Tupelo honey (from the White Tupelo tree), Orange Blossom Honey, and Wildflower Honey. You can order any in sizes ranging from 12 ounces to five pounds. 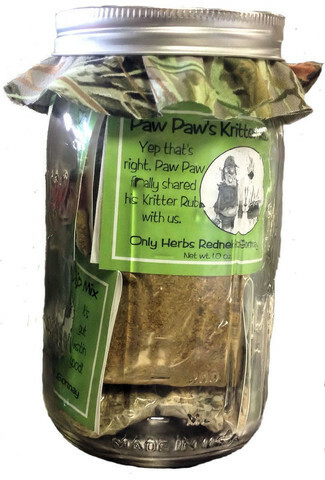 A wonderfully healthy gift idea from northern Florida! 10). The highest natural elevation in Florida is only 345 feet. It’s Britton Hill, located in northern Walton County just two miles from the Alabama border. It’s the lowest state high point in the 50 states. Comment Via Our Contact Us Page About Your Favorite Florida Made Products! Welcome once again to our rotating series, “Visiting America’s State Capital Cities”. We’re very pleased to give you a travelogue overview of one of our favorite Sunshine State cities, Tallahassee! Panhandle and only about 20 miles south of the Florida – Georgia border. Moderated by the Gulf of Mexico just over an hour’s drive away, this city of 185,000+ is a wonderful mixture of culture, history, and college pride. Join us as we explore this charming and inviting Southern city! In the early 1820’s when Florida was just a territory, discussion centered around the potential location of a territorial capital. Rival factions threw their support behind both Pensacola and St. Augustine, and in 1824 a compromise was struck – the capital would be established at a spot between the two settlements. 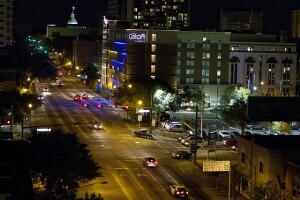 The location became known as Tallahassee, which has grown to a metro area population of over 375,000. 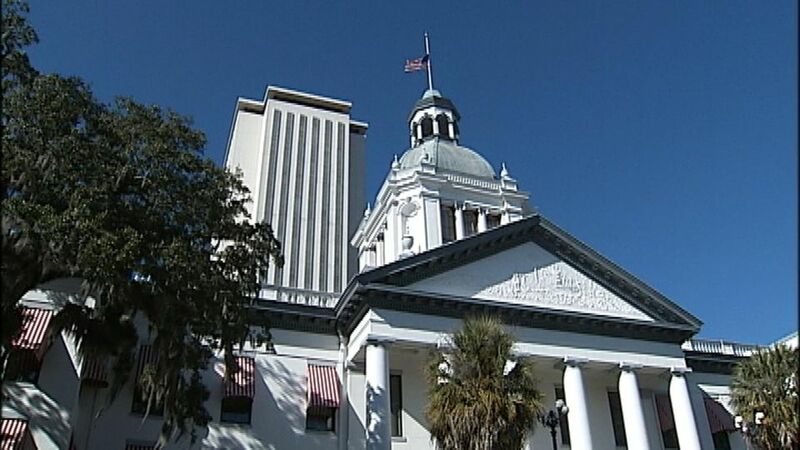 Although numbers and measurements change often, Florida’s capital is the 125th largest city in the United States, a center for higher learning, state government, shipping, and agriculture. It’s also known for great restaurants and shopping! 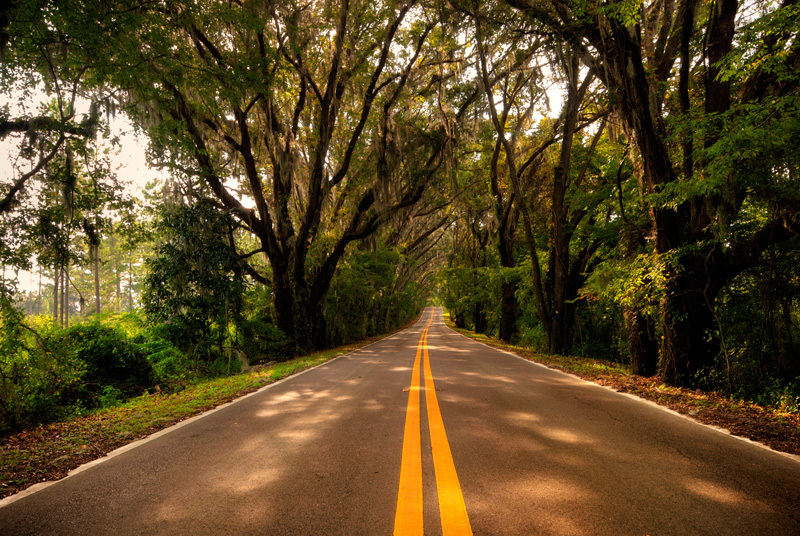 Steeped in history, Tallahassee is a wonderful area to visit, convenient to the Panhandle beaches area as well as the north Florida Atlantic coastal region. We spent two nights here, combining it with a visit to Pensacola, Mobile AL and The Emerald Coast. Two full days provides a good overview of this friendly city. A wonderful time to visit is during January, when temperatures hover in the mid 60’s and the rest of the nation is in the midst of deep freeze conditions. Summers here are quite warm, as you might expect. May through September presents humid temperatures in the 80’s and 90’s, but October through April are generally very pleasant and perfect for exploring the area. Our January visit could be summed up in two words – absolutely perfect! Affectionately known by locals as “Tally”, the city is a blend of several types of attractions – cultural, natural, and uniquely local. We always like to get our bearings when visiting a new city, and there’s no better way than stopping at the observation deck atop the Florida State Capitol Building. Free of charge and located on the 22nd floor, the observation area includes a rotating display of paintings from some of the state’s most prominent artists. Located on one of the city’s main drags, Monroe Street, the Capitol Building also offers self guided tours with a helpful brochure detailing the building’s history and features. The Downtown Walking Tour, which we highly recommend, includes the Capitol Building, Visitor’s Center, and examples of Tallahassee’s historic architecture. The Park Avenue District is immediately adjacent to downtown, so you can do as we did and take one walking tour on successive mornings. 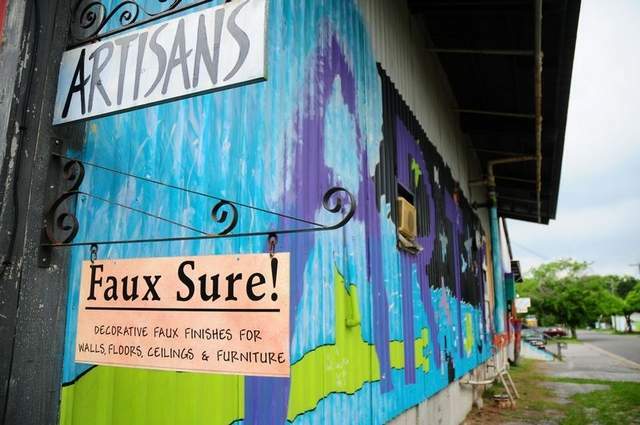 Another area you’ll want to see is the nearby Railroad Square Art Park, a collection of shops and artist galleries housed in old warehouses dating back to the World War II era. Shop here for local art, clothes, antiques, vintage items, and much more! And if you’re so inclined, stop for a beer at Tallahassee’s largest production brewery, the Proof Brewing Company, who offer an outdoor beer garden in the heart of the park. 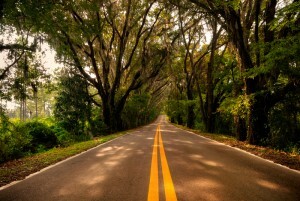 On Centerville Road, one of the area’s nine canopy roads, you’ll find a Tallahassee must see, Bradley’s Country Store. They’ve been owned and operated by the same family since 1927 and are best known for their house made sausages and stone ground grits. They also offer many kitchen and houseware products – a great place to buy a local gift for someone back home. Take advantage of their “Lunch on the Front Porch” special too, featuring their famous sausages. Tallahassee is home to countless picturesque parks, any of which make for an ideal picnic lunch spot! We particularly enjoyed Lake Ella, located on north Monroe Street. You can stroll around the lake while enjoying an ice cream cone purchased from one of the several shops ringing the small, peaceful lake. We saw lots of locals walking their dogs around the lake – the dogs were having a ball! Are you a shopper?? If so, Tallahassee is a great place to be! Be sure to visit the independent shops at midtown’s Miracle Plaza for southern chic fashions and a cool shop called Alumni Hall who’ll make sure you fit right in with all kinds of FSU gear and more. Or check out Ten Thousand Villages, a fair trade shop with unique goods from around the world. Downtown on Adams Street just a very short stroll from the Capitol building is Andrew’s Capital Grill & Bar, a popular choice for government personnel and area visitors for over 40 years. 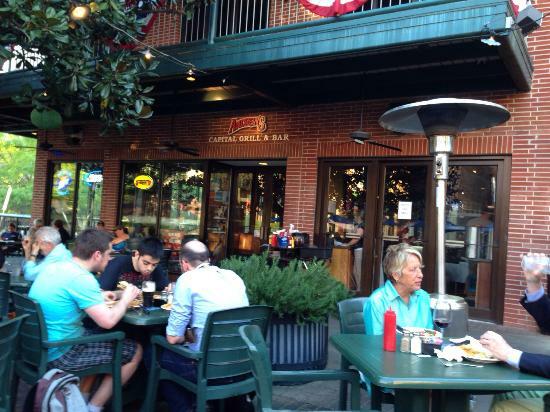 A fun, casual place with a large outdoor patio, this place is a great choice no matter the time of day. Along with its adjacent sister restaurant, Andrew’s 228, the Grill has a longstanding policy of hiring local college students to help them work their way through school. The owner, Andy Reiss, is locally known as “Mr. Downtown” for his decades of efforts to improve Tallahassee’s economic viability. Stop in for lunch and you can expect a menu of fresh, hefty offerings like burgers, sandwiches, and plate specials. Get the grouper sandwich – it’s ultra fresh and delicious! On busy Monroe Street, one of city’s main arteries, check out Barnacle Bill’s for fresh Florida seafood. Yellow fin tuna, snapper, gumbo, stone crab, oysters and more are well represented here at this city landmark that’s been serving satisfied customers for 30 yeas. A fun, lively place, Barnacle Bill’s is also a good spot for wings, burgers, and other casual fare. The menu here is small but very fresh and very good. 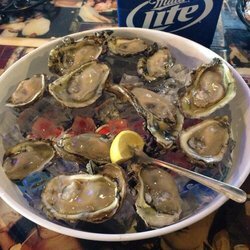 If you like oysters, don’t miss this place! You can get them raw, steamed, or baked with toppings. And if you’re a night owl, this is quite the fun spot later on in the evening. Enjoy! Finally, if you’ve got a yearning for good pizza, don’t pass up Gaines Street Pies. We stopped here via a local’s recommendation and enjoyed a casual meal of spinach artichoke dip and slices of cheese & sausage pizza. Friendly and accommodating, this is an excellent choice if you’re on a budget – our total bill for the pizza and a couple of beers was less than $30. We truly enjoyed our visit to this charming Florida capital city! Situated in a less traveled part of the state, Tallahassee is a fun city that’s convenient to navigate. You can easily combine a stop here with a Panhandle vacation. We spent a week in the area – we flew into Birmingham, AL and drove down to Mobile. From there it’s a very short hop over to Pensacola and the Emerald Coast beach towns like Fort Walton Beach, Panama City, and so on. From this area, you can reach Tallahassee in just over an hour. Historic architecture is abundant here … a downtown walking tour is highly recommended! You’ll also find numerous shopping opportunities and inventive, moderately priced restaurants. 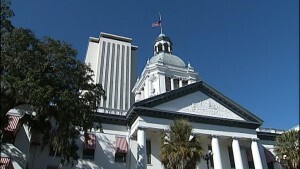 You can learn more about Florida’s capital by visiting the very helpful VisitTallahassee.com website. The site will guide you through some of the city’s high points and allow you to plan your visit according to your personal interests. If you’re like us, you’ll find plenty of reasons to embrace this city – we can’t wait to come back for a return visit!